In real estate, the mantra is "location, location, location." The same could be said for the juxtaposition of applications logic and data. With enterprise data growing at an explosive rate, having applications separate from the mountains of data that they rely on has resulted in massive data movement -- increasing latency and restricting due analysis. Aster Data, which provides massively parallel processing (MPP) data management, has tackled the location pro blem head-on with the announcement this week of Aster Data Version 4.0, (along with Aster nCluster System 4.0), a massively parallel application-data server that allows companies to embed applications inside an MPP data warehouse. This is designed to speed the processing of terabytes to petabytes of data. The latest offering from the San Carlos, Calif., company fully parallelizes both data and a wide variety of analytics applications in one system. This provides faster analysis for such data-heavy applications as real-time fraud detection, customer behavior modeling, merchandising optimization, affinity marketing, trending and simulations, trading surveillance, and customer calling patterns. While both data and applications reside in the same system, they are independent of one another, but both execute as "first-class citizens" with their respective data and application management services. The Aster Data Application Server is responsible for managing and coordinating activities and resource sharing in the cluster. It also acts as a host for the application processing and data inside the cluster. In its role as data host, it manages incremental scaling, fault tolerance and heterogeneous hardware for application processing. Aster Data Version 4.0 provides application portability, which allows companies to take their existing Java, C, C++, C#, .NET, Perl and Python applications, MapReduce-enable them and push them down into the data. The Dynamic Workload Management (WLM) helps support hundreds of concurrent mixed workloads that can span interactive and batch data queries, as well as application execution. Includes granular rule-based prioritization of workloads and dynamic allocation and re-allocation of resources. Integrations with leading business intelligence (BI) tools and Hadoop. 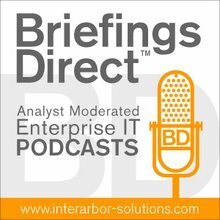 More companies want to bring more data to bear on more BI problems. While Aster's benefits and value may be used for high-end and esoteric analytics uses now, I fully expect that there data-intense architectures will be finding more uses. The price, too, is dropping, making the use of such systems more affordable. Many of the core users of high-end analytics are also moving on architecture-wise. The systems designed five or more years ago will not meet the needs of five or even a few years from now. What's really cool about Aster Data's approach is the analytics apps can be used, and the languages and query semantics most familiar to users can be used with the new systems and architectures. I suppose we should also expect more of these analytics engines to become available as services, aka cloud services. That would allow joins of more data sets and they the massive analytics applications can open up even more BI cans of worms.